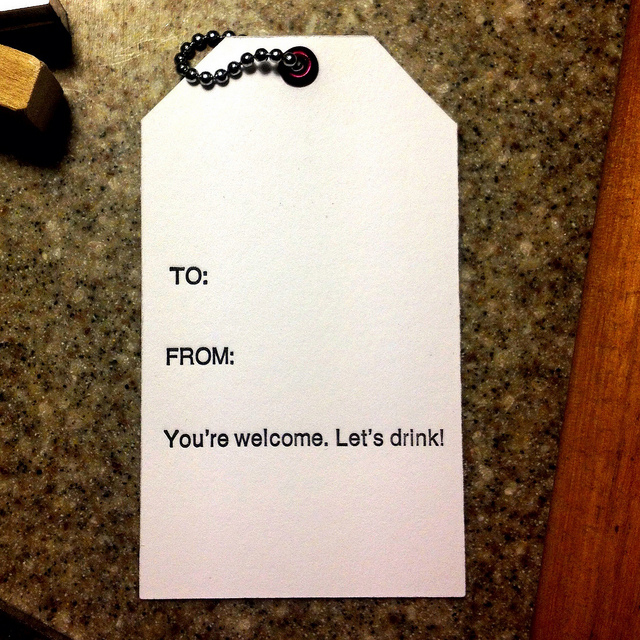 Second in a series of gift tags. This one is meant for a bottle of fine wine...or a cheap bottle of hooch. Your call. Each tag is hand set and hand pressed. This one is set in 12pt Helvetica. Available in a variety of paper colors: antique white, bone white, and pink (duplexed). Grommets also available in a variety of colors. Please contact me if you are looking for a particluar paper/ink color.